Ay, ay, ay! After finally getting herself back into pop radio’s good graces with Cry Like a Rainstorm, a Ronstadt – no doubt to the disappointment of label execs at Elektra – immediately turned her attention back to the mariachi music of her youth with her next release in what she at least acknowledged was a completely self-indulgent move. The record is at least as good as – if not perhaps even better than – its conceptual forerunner, Canciones de Mi Padre (it helps that Ronstadt has even recruited her brothers as harmony vocalists here, making the disc feel all the more like a personal and sentimental undertaking hearkening back to her youth), but like the final two albums with Nelson Riddle, the novelty factor isn’t quite the same as it was the first time around, so it’s only marginally more interesting and isn’t any more likely to appeal to Ronstadt’s pop fans than Mi Padre did. Like that record, this is still both more fascinating and more highly recommended than any of the three Riddle outings, but Cry Like a Rainstorm has much broader appeal and is arguably the more practical purchase of the two. Arguably Ronstadt’s most misguided outing since For Sentimental Reasons, Frenesi isn’t exactly a terrible record – with that voice, how can you go completely wrong? – but it’s got a few things working against to make it all that crucial a purchase for more casual Ronstadt fans. First of all, it’s another foray outside of the world of contemporary pop, which remains Ronstadt’s specialty. Second, like Canciones de Mi Padre and Mas Canciones before it, it’s a Spanish-language release. But where those two discs succeeded artistically and this one doesn’t work nearly as well is that those discs were devoted to the mariachi music she grew up with, which meant that the albums were both more personal and more warm sonically than this outing, whereas this album is built around more tropical Latin sounds, which is a less natural fit for Ronstadt. (Gloria Estefan, she is not.) Though there are standards included here (“Piel Canela” and “Perfidia” being two of the more famous), the productions themselves never feel as organic and welcoming as those on the two Canciones albums. You have to marvel at times at Ronstadt’s career-long determination to prove she can sing any and every kind of music, however incongruous it might look on paper, but this disc doesn’t have enough of the same warmth and heart as its predecessor to make it feel nearly as successful artistically. Finally turning back to more typical pop fare on this, her first English-language album since Cry Like a Rainstorm, Ronstadt – likely realizing she’s once again fallen out of favor at pop radio in light of her post-Rainstorm detours – takes a noticeably different approach this time out, softening her brand of adult-contemporary pop and alternating between lush recreations of ‘60s songs – from Dionne Warwick’s “Anyone Who Had a Heart” and Maxine Brown’s “Oh No Not My Baby” to the Beach Boys’ “Don’t Talk (Put Your Head on My Shoulder)” – and heavily atmospheric – almost to the point of sounding like Enya at times – readings of more contemporary fare like Anna McGarrigle’s “Heartbeats Accelerating” and Emmylou Harris’ “A River for Him.” Ronstadt even offers up a rare composition of her own in the breathtaking title track, which would later be covered by highly-esteemed classical singer Sarah Brightman. The result is a disc that sounds a bit more the jazz-pop of such artists as Basia, the retro-tinged Swing Out Sister, and The Language of Life-period Everything But the Girl more than it does the Ronstadt of the late ‘70s and early ‘80s, but it surprisingly works, and though the disc lacks a standout single to keep you coming back like “All My Life” and “Don’t Know Much” do for Rainstorm, it makes a remarkably beautiful and ambitious album piece as a whole. For all its loveliness, though, Winter Light was a commercial dud at radio and record stores alike, peaking at #92, and remains one of Ronstadt’s most criminally underappreciated efforts. In retrospect, it’s a shame that Ronstadt didn’t simply call it a career after this disc because none of the solo discs she would record from here on out would come anywhere close to matching it in quality. 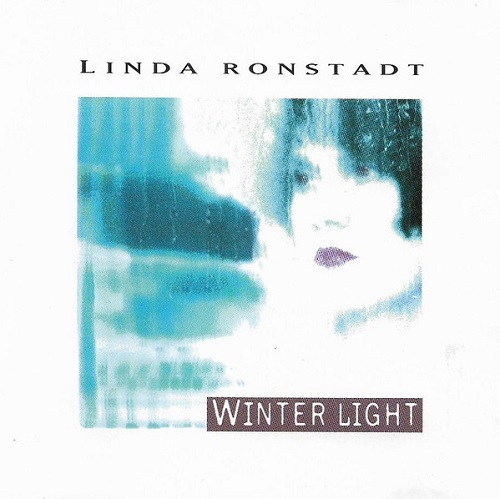 If it seems a bit weird that Ronstadt would follow the ambient adult-contemporary pop of Winter Light with a disc that not only doesn’t sound anything like that record but actually hearkens back to her beginnings as a country and folk performer, there’s a reason for that, and it’s not even owing to the poor sales response to Winter Light: this disc actually began life as a second Trio album of duets with Dolly Parton and Emmylou Harris. The record was actually completed, but contractual disputes between the three ladies’ respective labels dragged on long past the intended release date, so a frustrated Ronstadt opted to try to salvage the mess by simply taking half of its songs and remixing them for use on her own record. But there’s a reason that Ronstadt’s sole country excursions after Heart Like a Wheel usually involved at least one of her two Trio partners, and without the full group here, Ronstadt doesn’t completely sound as if her heart is in it (which might also explain why she’s thrown in a cover of Tom Petty’s “The Waiting,” which is perfectly good but also sounds a little out of place amongst the country and traditional-folk tunes). There are a few scattered minor gems here – particularly her covers of Matraca Berg’s “Walk On” and the Randy Newman-penned title cut – but even if you aren’t aware of the album’s messy history and its genesis as a Trio sequel, you’re likely to still sense that something here is amiss, particularly during the album’s lackluster back half. It’s not exactly a bad album per se, merely a very forgettable one, and you’re better off picking up the belatedly-released Trio II. Ronstadt’s never really been one to let the limited appeal of a project prevent her from going all-in, anyway, hence the Riddle trilogy, the two Canciones albums, and Frenesi. But whereas those discs – as far removed from the pop/rock she does so well as they were – still had at least some limited amount of appeal to older listeners, this disc is aimed at an entirely different audience altogether: your little ones. 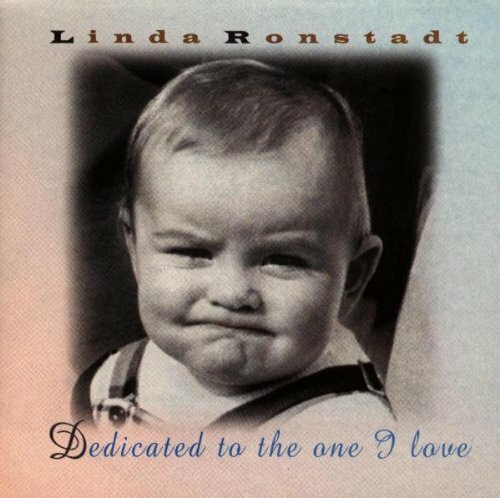 No, Ronstadt’s not doing the Raffi or Wiggles thing, thankfully (now that would be truly going a step too far), but this record is comprised solely of lullabies. If the record consisted of straight lullabies like “Rock-a-Bye Baby” or “Brahm’s Lullaby,” the latter of which is wisely included here, it might not be so embarrassing. But the bulk of the disc consists of pop oldies reinvented as lullabies. Some of these aren’t much of a stretch (namely, the Beatles’ “Goodnight” or the Everly Brothers’ “Devoted to You”); some definitely push the boundaries of the term (the Ronettes’ “Be My Baby” and “Baby, I Love You”; apparently, if the song had “baby” in its lyrics, that made it eligible for consideration); and others are just downright inexplicable in their inclusion here. 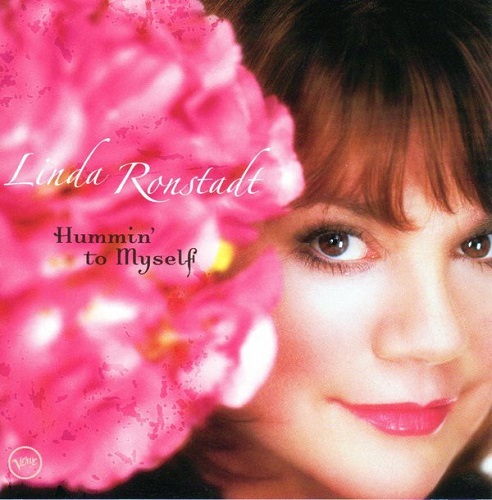 (Has Ronstadt ever actually listened to the lyrics of “In My Room”? And on what planet does Queen’s “We Will Rock You” make the slightest bit of sense as a lullaby?) Kids’ records by pop stars aren’t necessarily a completely bad idea – Carole King’s Really Rosie is a good example of how to do it right – but this? Aside from “Devoted to You” and the final three cuts, which are quite lovely, this one is a definite misfire. Ronstadt’s post-Cry Like a Rainstorm pop records never sold well, not merely because she didn’t fit nearly onto the landscape of pop radio anymore but also because she was always taking so many career detours that many of her pop fans simply just gave up on trying to follow her body of work, and We Ran became her worst-charting pop album in over twenty-five years, stopping at #160 and selling under sixty thousand copies. This one is at least more pop-oriented than Feels Like Home, including songs from the likes of Springsteen (“If I Should Fall Behind”), John Hiatt (“When We Ran” and “Icy Blue Heart”), and Dylan (“Just Like Tom Thumb’s Blues”), and Ronstadt – backed up here by a cast of players that includes most of Tom Petty’s Heartbreakers as well as original Eagles member Bernie Leadon – still sounds great, but it just doesn’t work as an album piece in the same way that the more conceptual Winter Light did, and not merely for lacking any sort of unifying theme or sound but also for the excessive number of producers employed here. Asher’s still present, but so are George Massenburg, Waddy Wachtel, and Glyn Johns, too, in addition to Ronstadt herself. It’s a passable disc, but it’s ultimately no more memorable than Feels Like Home, and Winter Light still remains the best of her ‘90s platters. Recorded five years earlier but shelved after disputes between their respective record labels held up the project’s release indefinitely, this second full-length collaboration between Ronstadt, Dolly Parton, and Emmylou Harris finally saw the light of day at the end of the decade. Mind you, the world of country radio had changed dramatically in the years immediately following the release of the first Trio album in 1986, as the likes of Randy Travis and George Strait now found themselves competing with the likes of Garth Brooks and Shania Twain, so it’s not likely that the disc would have been any bigger a hit had it made it into record stores in 1994, by which time both Parton and Harris were long out of vogue on most country stations. 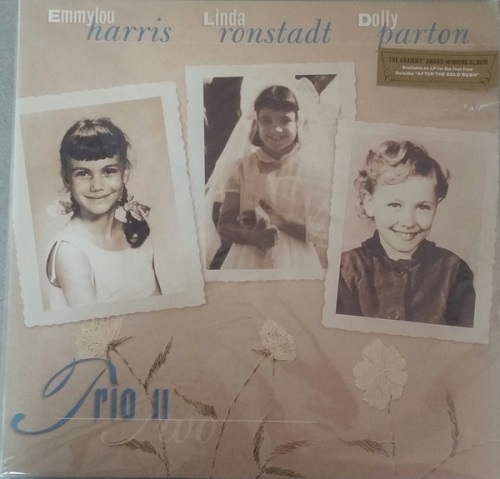 But by the time Trio II was released, Ronstadt had already taken half this material and remixed it – sans Parton’s and Harris’ lead vocals – for use on her own Feels Like Home, so there wasn’t much here that could actually be called completely new. Still, if you don’t already own Feels Like Home, this is the better purchase of the two, as the vocalizing between the three ladies add a great deal to the covers of Neil Young’s “After the Goldrush” and Harley Allen’s “High Sierra,” and new cuts like Dolly Parton’s “Do I Ever Cross Your Mind?” easily outshine the weaker material from Ronstadt’s own record. It doesn’t have quite the same charm or effervescence as the first Trio disc, perhaps, but it’s nearly every bit as pretty. Surprisingly, given the ugly contractual disputes that delayed Trio II for years and years, Ronstadt and Harris opted to follow that project up with another duets disc together, albeit one without the involvement of Parton. As always, the two sound delightful together, and the songs – spanning the gamut from those of Springsteen (“Across the Border”), Leonard Cohen (“Sisters of Mercy”) and Jackson Browne (“For a Dancer”) to Rosanne Cash (“Western Wall”), Patty Griffin (“Falling Down”) and Sinead O’Connor (“This Is to Mother You”) – are mostly very well-chosen. But well-crafted though the disc is, it’s also a very self-serious and occasionally quite somber affair and lacks the playfulness of the two Trio records, which means that it’s more likely to appeal to fans of Harris’ more introspective brand of country than of Ronstadt’s upbeat pop of yore. Her commercial peak now long past her, it wasn’t exactly as strange a move at this juncture in her career for Ronstadt to dip into the standards well once more as it was when she first did so over twenty years earlier with What’s New, so Hummin’ to Myself isn’t nearly the head-scratcher that the Riddle trilogy was. The song selection here is much in the same vein, albeit a bit jazzier this time out, boasting songs from such classic tunesmiths as Cole Porter (“Miss Otis Regrets,”) Sammy Fain (“I’ll Be Seeing You”), Duke Ellington (“Day Dream”), and Frank Loesser (“Never Will I Marry”). But unlike the big-band and full-orchestra arrangements of the Riddle trilogy, Ronstadt’s backed here by a smaller combo, giving the disc a much more intimate feel to it and making it feel a bit more fresh than any of her standards discs since What’s New. Still, it’s a standards disc all the same, and fans of Ronstadt the pop singer can safely pass this one over. It’s a weird way to go out, perhaps, but then again, considering Ronstadt’s penchant – particularly in her post-Mad Love body of work – for genre-jumping and self-indulgent pet projects, it’s also strangely suitable that her final disc before retiring from recording was yet another left-field move – this time a disc of duets with Cajun-music vocalist Ann Savoy. Naturally, this is a very heavily Cajun-and-folk-tinged disc, albeit one that works in versions of a small handful of pop tunes like Richard Thompson’s “King of Bohemia” and, oddly enough, the Left Banke’s “Walk Away Renee.” Artistically speaking, it’s certainly Ronstadt’s most intriguing left-field genre exercise since Mas Canciones, but its appeal is also rather limiting, so it’s hard to recommend this one to anyone other than diehard Ronstadt fans or Cajun-music buffs. They’re not quite career-encompassing, but Asylum’s Greatest Hits and Greatest Hits, Vol. 2 packages (from 1976 and 1980, respectively) can both easily be found in most record-store budget bins for as little as five dollars and do an excellent job of summarizing Ronstadt’s golden years, the former package even going out of its way to reach back as far as the Stone Poney’s “Different Drum,” which makes for a delightful – and slightly unexpected – addition. Rhino’s 2002 package The Very Best of Linda Ronstadt covers her full career – including latter-era hits like “Somewhere Out There” (unavailable of any of Ronstadt’s studio albums), “Don’t Know Much,” and “All My Life” – but too many album cuts (“Love Is a Rose,” “Heart Like a Wheel,” “Adios”) are included at the expense of actual Top 40 hits; mind you, more casual fans may not notice the absence of, say, “Tumbling Dice,” “Get Closer” or “I Can’t Let Go,” but why “How Do I Make You” was left off the disc is a complete mystery. So it’s ultimately a bit of a trade-off – at least until Rhino or Elektra has the good sense to issue a best-of with all twenty-one of her Top 40 hits, which should technically be an easy task.